Hello there and thank you for stopping by today. Today I am participating in MFTWSC300 (Wednesday Sketch Challenge 300). It's a great way to kickstart your crafting. A sketch provides everything you need to get started! 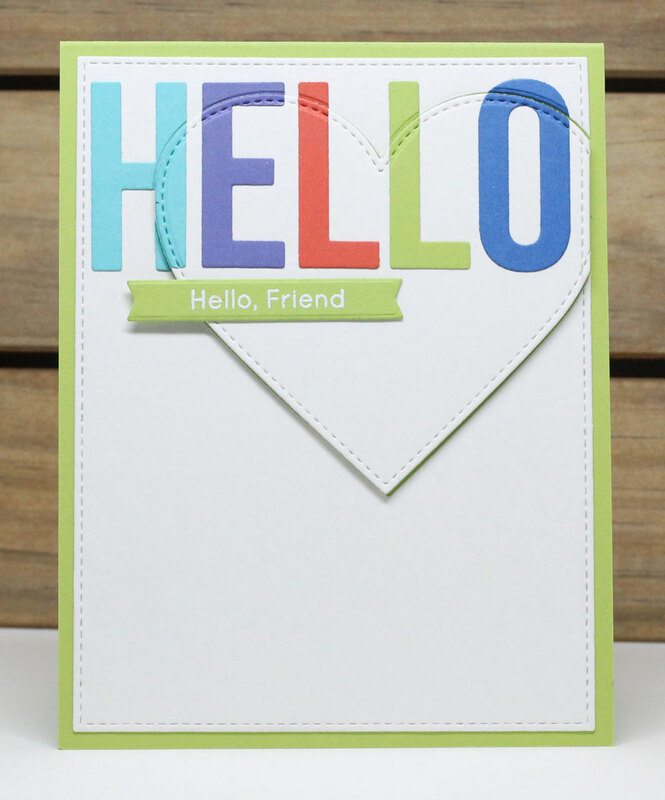 My card today features the Big Hello Die-namics. It's probably one of my all-time most favorite dies. I adhered them to a panel and then die cut a stitched heart from it and popped it up a tad and adhered the follow-up sentiment from Happy Hedgehogs stamp set.